The best gift one can give to anyone is education, because it has the power to transform lives. In rural areas of India, schools often lack basic infrastructure and are not safe or stimulating learning environments for children. The Sehgal Foundation campaign to raise funds to transform rural schools is providing further momentum to the right to education in rural India. First initiated in the last quarter of 2016, The Transform Lives campaign garnered funds from donors worldwide for the renovation of five rural schools in district Alwar, Rajasthan. A big thank you to all our supporters. The implementation work is in full swing. With many more rural schools needing transformation, the campaign continues this year with a goal of uplifting ten more schools in rural areas. Help spread the word. Donate and be a part of this important work! Watch for campaign updates and events at www.smsfoundation.org. Radio is a fascinating medium, and always will be! 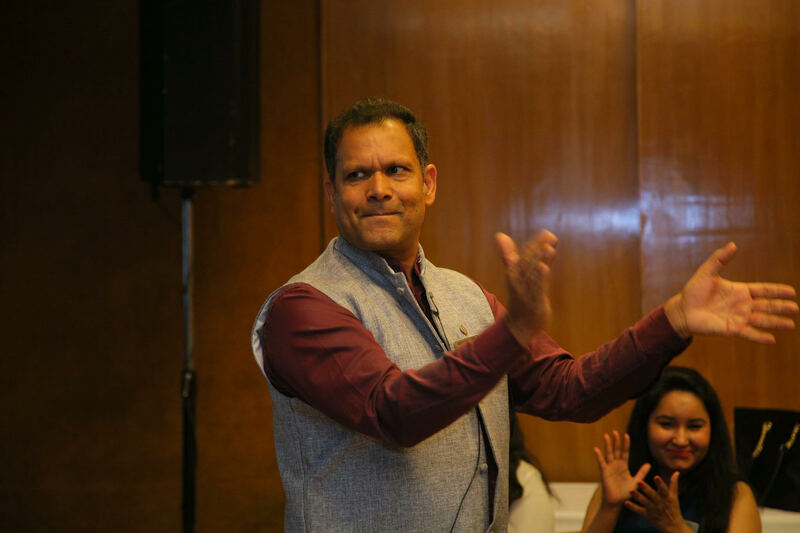 In conversation with Dr. Arvind Singhal, PhD, professor of Communication and director of the Social Justice Initiative at the University of Texas at El Paso (UTEP). As media production and consumption turns digital, the ME in MEDIUM will increasingly dominate. 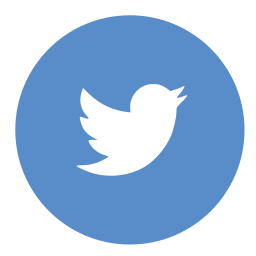 The democratizing function of media will prevail when there is a level playing field. Read More . . .
ZMQ Technologies, in partnership with Sehgal Foundation, launched the mobile platform called “Your Storyteller” that hosts the mobile app of community radio Alfaz-e-Mewat. The radio app features stories on governance and health and is available on Google Play Store. A launch event and panel discussion was held at the Federation of Indian Chambers of Commerce & Industry (FICCI) on July 12, 2017. Eminent panelists, including Pooja O Murada, director, Communications, Sehgal Foundation, represented corporate, multilateral, and government agencies. Each spoke about storytelling and shared experiences from the field. The state government of Rajasthan has awarded the Bhamashah Award 2017 to Sehgal Foundation and Mosaic Fertilizers Pvt. 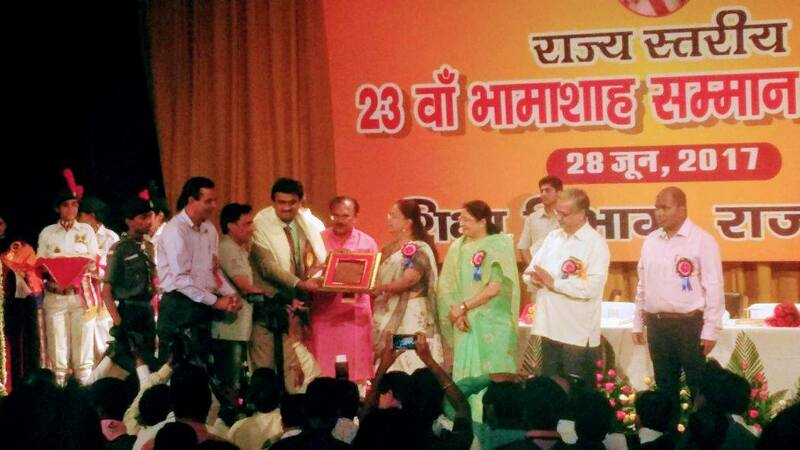 Ltd. for the infrastructure work done in government schools in district Alwar, Rajasthan. The award was given in a mega event on June 28, 2017, in Jaipur. The Sehgal Foundation team thanks Mosaic Fertilizers Pvt. Ltd. and The Mosaic Company Foundation, USA, for supporting infrastructure development in schools under the joint project Krishi Jyoti. Krishi Jyoti has been instrumental in helping farmers to increase their agricultural productivity, employ water management techniques and interventions, and transform schools. Sehgal Foundation, in partnership with an NGO, PRASAD Chikitsa, conducted a training on safe drinking water technologies for PRASAD Chikitsa’s staff from July 26–28, 2017. 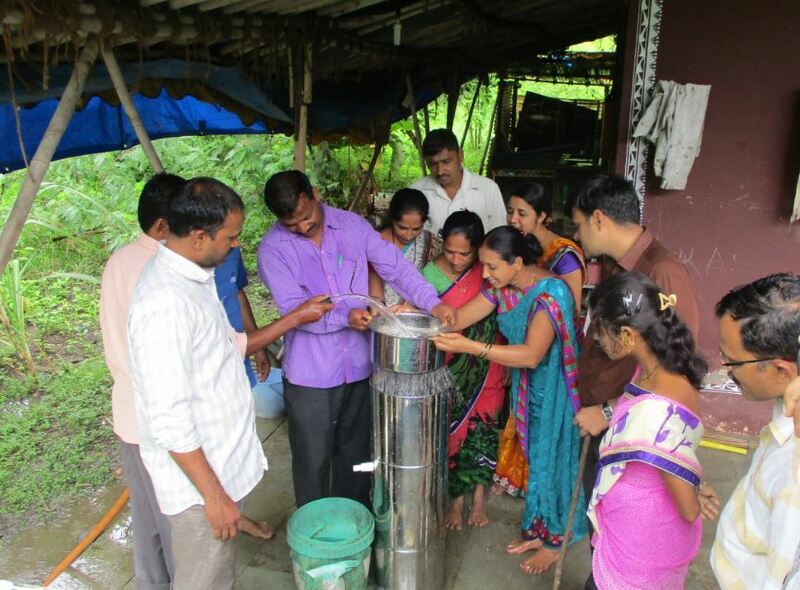 PRASAD Chikitsa has decided to promote JalKalp water filters to the tribal population in the villages around Ganeshpuri (Thane). The workshop included topics such as sources of water contamination, the linkage between water contamination and health, transmission of disease-causing pathogens, the importance of safe drinking water and sanitation, and the installation, operation, and maintenance of JalKalp water filters. The NGO plans to deploy 250 filters during the initial phase in 2017–18 to secure the drinking water supply for tribal households. Tree magic to go green! A single mature tree absorbs nearly forty-eight pounds of carbon dioxide in a year (Source: Tree Facts, NC State University). 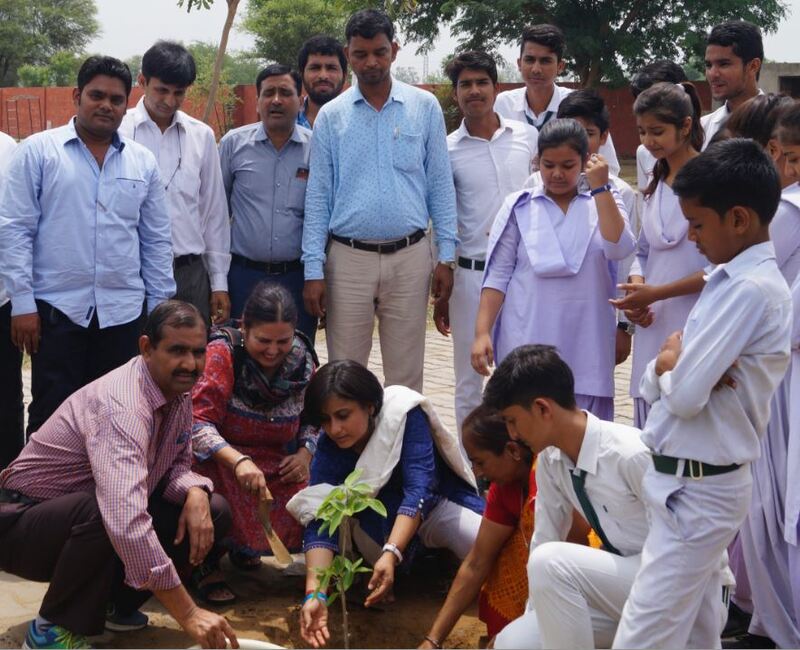 Panchayat (village council) members, school management committees (SMCs) and schoolchildren across forty-eight schools in Nuh district, Haryana, along with the Sehgal Foundation team have facilitated the plantation of over 20,000 plants including shade trees such as neem, flamboyant (gulmohar), Indian Elm (papri), seerak, daalmoth, sesame (til), and fruit trees such as custard apple (sitaphal) and jamun. Sehgal Foundation is grateful to the district administration of Nuh and the SMCs for their motivation to initiate the plantation drive and to the district forest department for providing saplings and transportation of the same to the schools. 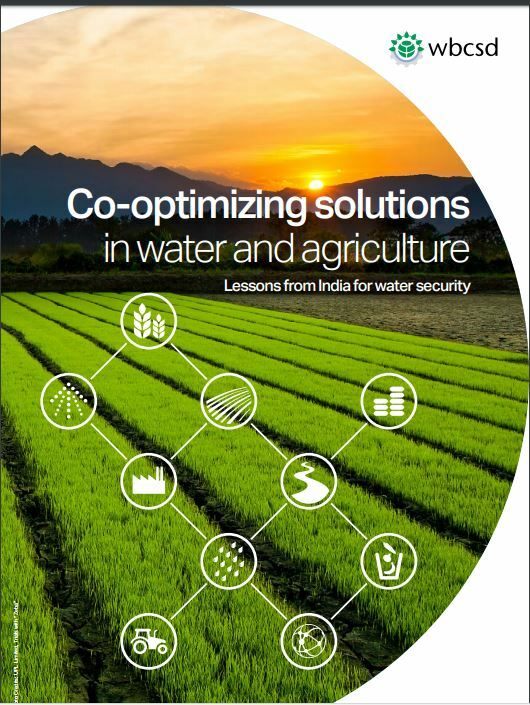 Report on "Co-optimizing solutions in water and agriculture" released! Sehgal Foundation and World Business Council for Sustainable Development (WBCSD) partnered for developing the report on "Co-optimizing solutions in water and agriculture". WBCSD is a global organization of over 200 leading businesses working together to accelerate the transition to a sustainable world. Written by Pradeep Mehta of Sehgal Foundation and Deepa Maggo of WBCSD, the report identifies a broad spectrum of business solutions to the inter-connected challenges and solutions involving climate and energy, water, food and land-use systems. Read Report . . .
Sehgal Foundation works with farmers across six districts in five states to build their capacities to use sustainable agriculture practices to meet the increasing demand for food. The team’s commitment to creating greater food security is shared by Ramkrishna Mudholkar, president of DuPont South Asia and regional business director, DuPont Crop Protection, who delivered a talk on “Agriculture and Future Challenges” on July 26, 2017, at Sehgal Foundation headquarters in Gurugram. He shared insights about the present agriculture scenario in the country and the opportunities that lie ahead. Susmita Guru and Richa Saxena from Sehgal Foundation presented a paper, “Transforming girl child education through inclusive participation of women teachers: Findings from district Nuh,” as part of an International Conference on Inclusive Quality Education Towards Sustainable Development Goal 4 that was held on June 17–18, 2017, at the India International Centre in New Delhi. Inaugurated by Dr M Hamid Ansari, the Honorble Vice President of India, a number of delegations from India and abroad, including civil society representatives, academicians, and bilateral organizations participated in the event. The paper highlighted the pressing need for women-centric policies that ensure recruitment and deployment of local women teachers in schools for improving girl child education. One of the recommendations from the paper was accepted for inclusion in an immediate action plan to achieve SDG 4 to be presented before the government. “Experiencing a sense of community firsthand” by Elle Gough, University of Florida. 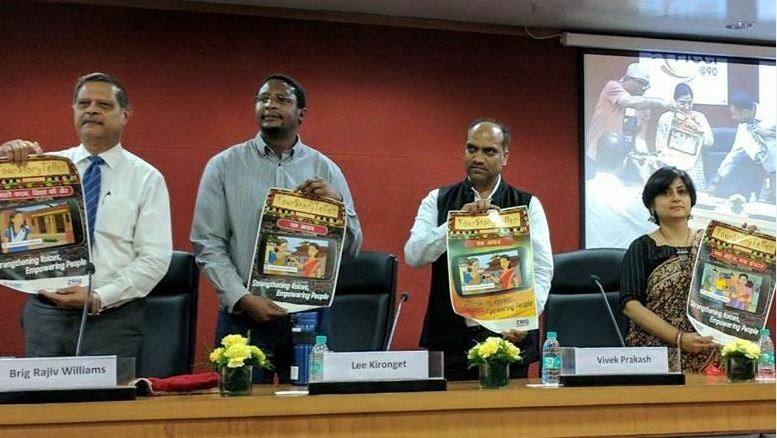 “Safe drinking water for flood-prone districts of Bihar,” a status report on Sehgal Foundation's project in Bihar in partnership with India Water Partnership.